“I’m very sorry to every person that felt offended by those tweets,” says Boity about old tweets she made about gay people. Boity Thulo is facing major backlash after homophobic tweets she made nearly a decade ago resurfaced this week. A Twitter user shared the old tweets on Monday, causing an uproar on social media. Boity complained about gay actors in local soapies in some of her tweets. She also made comments about the gay relationship between 'Generations' characters Senzo and Jason. "oh f**k me... what is up with the gay s**t on these soapies?? This side, it's undecided lesbians, on the other it's n****s suckin tongues. nxa!" she wrote in 2009. She wrote in a separate tweet in 2010: "This dude is exactly like Senzo. How creepy. And I think he might be gay. Lord forbid. Death! #generations." 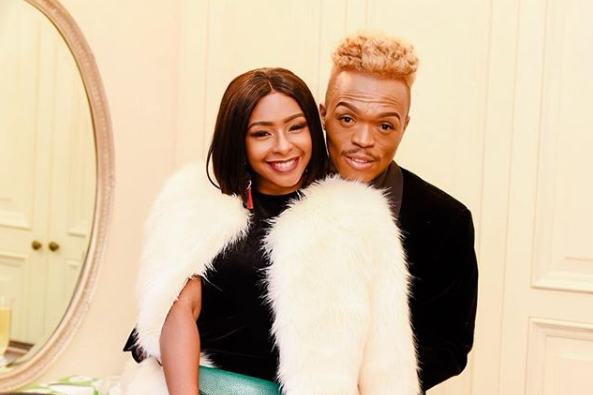 Despite complaining about the "gay s**t" on soapies, some of Boity's tweets showed that she supported Jason and Senzo's relationship. Many of Boity's fans came to her defence, with some saying she has grown since her homophobic tweets. "Boity is not Homophobic though. The first time I met her was at Gay Pride and she was there at her own Free Will. Not paid or booked. A very gracious and humble young lady. I choose to stand with the Human Being I know than some Tweets from 800 Years ago," one Twitter user wrote. Boity issued an apology for the tweets. "A decade ago, I was naive, homophobic, young and didn’t know better. I was 19 and my views on sexuality were warped. We grow, our views change and we do better. It’s gut-wrenching and embarrassing to see them now, however, I am not the same person I was 10 years ago," she wrote in a statement. The 28-year-old added that she's "very sorry to every person that felt offended by those tweets". Here's a look at what some Twitter users had to say about the issue. Boity was a deep Christian in ‘09. When you grow up in the church, a lot of it influences how you think. I’m not defending those tweets but I’m just saying it could be because she was taught to believe that being gay in wrong. But there are tweets that she tweeted after 2009 that show love to the gay community..
To me, that shows her views on homosexuality changed long ago.